As a congregation, we support a number of missions in the community and seek to be of service to our neighbors. Here are just a few of the organizations and activities we support. Each Sunday we receive offerings for Heifer International in honor of our members’ birthday and anniversary celebrations. These donations are sent to benefit families in need with gratitude to God for our blessings. We support LifeMoves for families in transition, and the homeless. Each month we collect items for the First Step for Families program – from diapers to housewares to school supplies to warm coats and shoes, we have gathered donations to help ease the lives of those in need in San Mateo County. During the holidays we also do a food drive. Four times a year we participate in special offerings of the United Church of Christ. In the spring, we receive “One Great Hour of Sharing” gifts, an offering that provides disaster relief throughout the world. In the fall, we participate in the “Neighbors in Need” program, an offering that helps folks right here in the Bay Area and throughout the United States. At Christmas, we donate to the “Christmas Fund,” an offering that assists retired church workers and clergy in need. In addition we contribute to Our Church’s Wider Mission in the UCC, to support our Conference and the national setting of the church. Because of our generosity , we are honored in the UCC as a “Five for Five” church!! 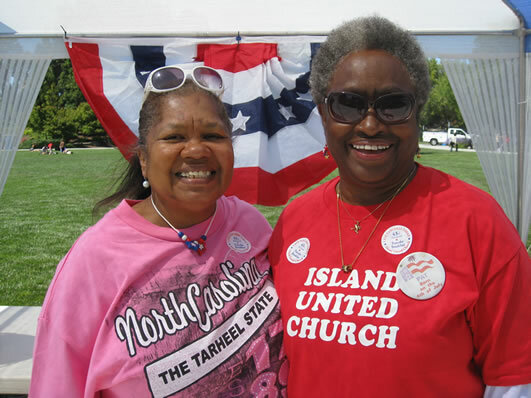 We are very active supporters of the mission and activities of the Peninsula Multifaith Coalition, and participate annually in PMC’s Martin Luther King, Jr. Day of Service.